Lately your Chop has been fully aware that we’re rapidly approaching middle age, if we’re not there already. No more have we got the patience to turn out and see club shows 3-4 nights a week. When we do get to a club show anymore, as was the case with Craig Finn and Heartless Bastards this week, it’s pretty plain that most of the crowd is couples with wedding rings, and most had hired a babysitter to get there. At 35, we’re turning our attention to music that sounds better played on a shady back porch than in a night club. When it comes to music to play on the porch, there’s absolutely no better choice than New Orleans’ Hurray For the Riff Raff. Their six releases, available on iTunes, are all the sort of recordings a listener can really spend some time with: play a HFTRR record more than once in a day and you’ll notice not so much that it changes each time, but that your own relationship to it is a fluid thing. Every chorus has a little less melancholy, a little more hidden meaning; each verse is more or less reminiscent of a place you’ve been or a person you’ve loved depending on whether you listen in the morning or evening- while you’re hopeful or feeling the blues. The band’s career is this way too. Six releases would put most bands in mid-career territory, and many will have their best effort behind them at that point. In the case of Alynda Lee Segarra and Hurray For the Riff Raff, this hardly seems possible. 2014′s Small Town Heroes from ATO records marks the first release from a label, and is in many ways a debut album, a fresh start over. No Depression named the album as one of the best of 2014 in both its critics’ poll and readers’ poll, along with the likes of Lucinda Williams, Willie Nelson, Sturgill Simpson, Ryan Adams and Roseanne Cash… pretty good company to be keeping for a ‘debut’ record. You can read an exhaustive review of Small Town Heroes on No Depression’s site here. It’s hard to find anything written yet about HFTRR that doesn’t go into some detail about Segarra’s personal background and specifically mention the song The Body Electric so we’re going to gloss over all that here except to say that her background includes an education in Punk Rock, and that song is as inherently political and Feminist as anything Bikini Kill ever put out. 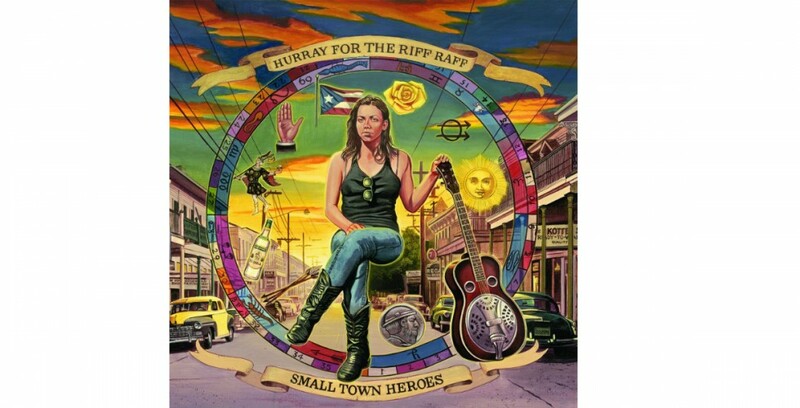 To the Chop’s mind, this has a lot to do with what makes Hurray for the Riff Raff such a formidable band. The radical political nature of each song is so subtle you might not notice it at any given listen. But it’s always there. It’s almost as if when you play the record backwards you’ll hear a Howard Zinn lecture. In most of American music- the Blues, Folk etc, the singer is is either sad about a lover or some thing in their personal life, or mad at an unfair system or some injustice of some kind. It’s seldom ever both. For Segarra though, who lives in the world as a full person and writes music that way it’s always both. If the song’s intensely personal then the backdrop of a latter-day Grapes of Wrath is the outer context. If the song’s about an unfair system, it’s a sad one, and it’s taken for granted that it’s impossible to be much of a good person in a rotten system- something Baltimoreans know all too well. Another thing that sets Hurray For the Riff Raff apart from so many other bands is a gigantic surplus of natural talent. You don’t need us to tell you how magical Segarra’s voice is- that much is obvious the first time you hear her hold a note or go in on a door-wop Oooooh or even yodel. It might all make sense if the backstory had something to do with singing in gospel choirs from a young age or growing up around musicians, but this band is as self-taught as they come, and you’d never know it if so many music critics didn’t take pains to point it out. Take for example HFTRR’s covers record My Dearest Darkest Neighbor. Every bar of those classic songs sounds new and poignant. Each note stands on its own- played to spare perfection and the whole thing has a sort of Japanese mastery to it. You hear as much of what’s not there as what is. It’s no mean feat to take songs by George Harrison and John Lennon and make them your own, but Segarra even goes one better than that by out-singing the likes of Lucinda Williams and Gillian Welch on People Talkin and My Morphine respectively. But in the end we really can’t tell you ultimately what it is that makes Hurray For the Riff Raff such a great band, the same way no food writer can tell you what makes cheese grits or gumbo such a great dish. They’ve got It. The Thing. The Roux. The Essence. Hurray For the Riff Raff has definitely been our own favorite band of the last year or so, and we’re pretty excited and grateful that our first time seeing them live will be not in some dingy club around midnight, but on a fine Summer evening on the green grass outside the Flying Dog Brewery in Frederick, MD. They play there tomorrow when the gates will open at 5:30 and a wide range of the brewery’s offerings will be available in casks, kegs and bottles. Missiontix.com for more information or to buy tickets. 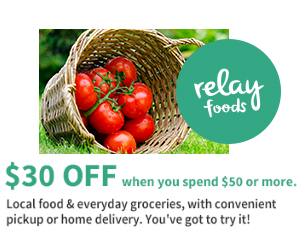 This entry was posted in shows, SLIDER and tagged Alynda Lee Segarra, Frederick, Hurray For the Riff Raff, Biaxin 500 mg, My Dearest Darkest Neighbor, Small Town Heroes. Bookmark the permalink.